Today is the second day of the Nine Nights of Narnia blog event! If you missed yesterday’s introductory post about my first encounter with Narnia, be sure to check it out. Today I’ll be sharing with you my review of my favorite Narnia novel, The Lion, the Witch, and the Wardrobe. Ahh…the first time Lucy sets foot into Narnia still sends chills up my spine. There is something so pure, magical, and serene about this entire story. It’s chock full of religious allegory, truth, wisdom, love, and courage. This book, in my opinion, is perfect. It has the perfect amount of back-story detail, the perfect balance of complex characters, a villain who is quite vicious yet powerful, the perfect hero…You may disagree with me, but in my life, this story rests in a league of its own–sharing space with few other stories (Daughter of the Forest by Juliet Marillier, The Hobbit by J.R.R. Tolkien, The Lord of the Rings by J.R.R. Tolkien, and…that’s IT). This story does something that so few other stories do: it takes you to a new world and then, the characters make a home there and live there. I was always annoyed by stories in which the characters would travel to distant lands and would fight, fight, fight to get back to Earth. As a kid, I was so irritated by this! I was like, “What!? You’ve found this AMAZING place and you’re just going to go home! ?” With TLTWTW, we get the best of both worlds. The four Pevensie children travel to Narnia and live there into their adulthood. It is only after that that they accidentally travel back to the spare room in the Professor’s house. If you’ll notice, the movie adaptations rarely change the book’s details. The reasons why? The book is already full of visually interesting descriptions and engaging dialogue. The plot is concise, but complex. It is a tale that never gets old and will be continually retold over and over to multiple generations of families. My favorite thing about this story, though, is the relationships–those between Aslan and the children, Lucy and Mr. Tumnus’ friendship…even the terrible connection between Edmund and the White Witch. They are all so meaningful and stirring! They speak to different facets of the spirit and call to those things which are deep and important in our real lives. 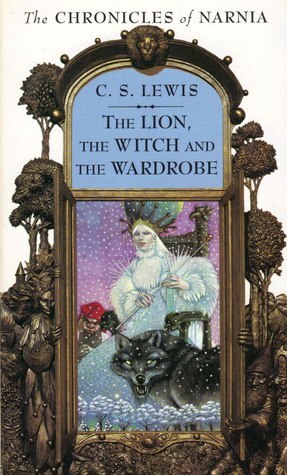 If you’ve read The Lion, the Witch, and the Wardrobe, what are your thoughts on the book? Is it your favorite Narnia novel or is there another you like better? Share in the comments section!